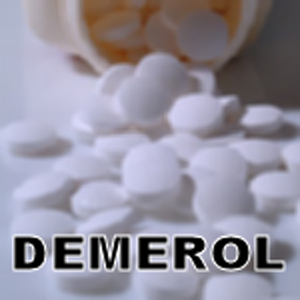 Demerol is a synthetic opioid analgesic used for the relief of moderate to severe pain. It is also prescribed off-label for the treatment of shivering. Our Demerol dose is felt 10-15 minutes after the dose begins and lasts anywhere from 2 to 4 hours. It will slows your brain activity and brings on strong sedation and euphoria because it hits the pleasure centers of the brain in a soothing slow come-on with no harsh aftereffects. This dose is best described as smooth.